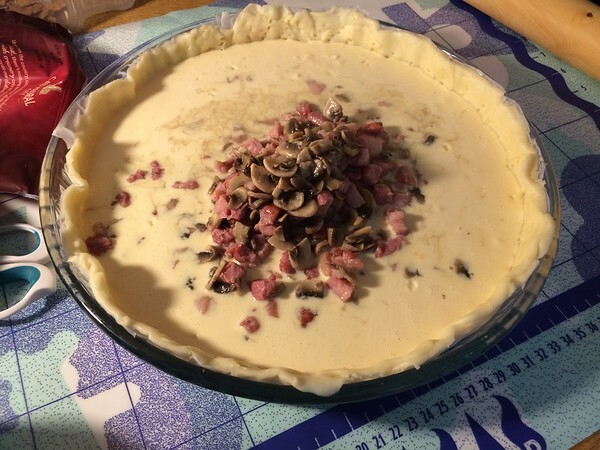 In this instance, I used short crust dough, but you can also use puffy dough! 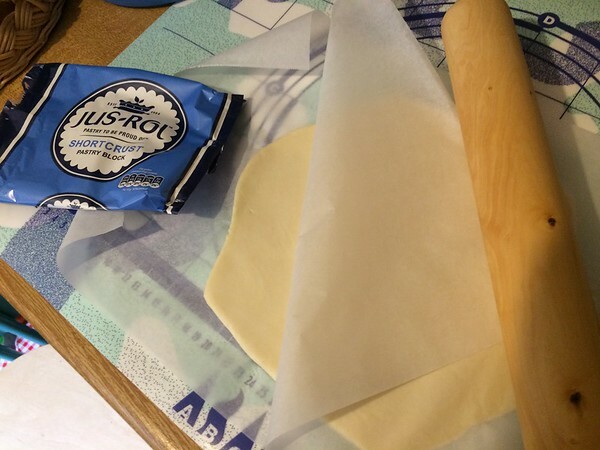 You can use either the pre-rolled, or the one you need to spread out yourself, or you can also make it from scratch (which I am too lazy to do ;)! 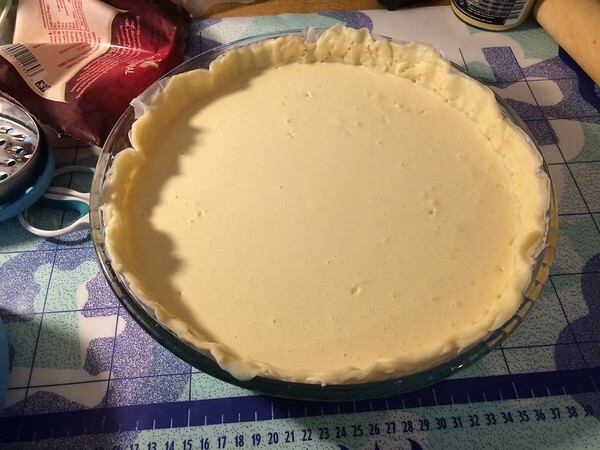 Place the dough in a pie dish that can go in the oven. 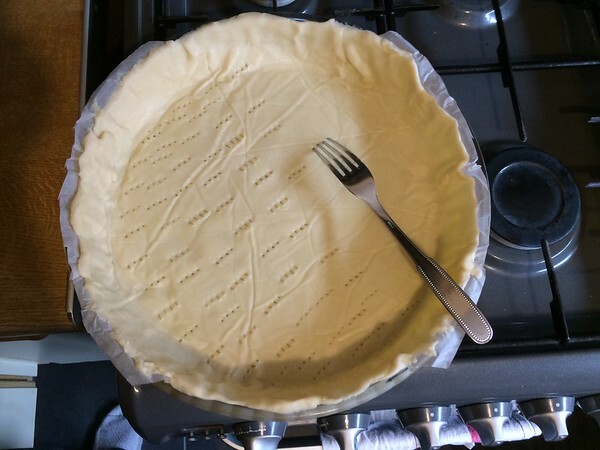 Remember to "fork" the dough, especially if using a puff dough! 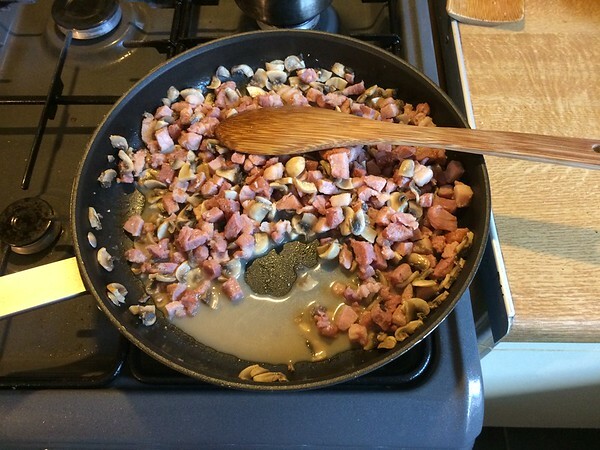 Cut the bacon and the mushrooms, and cook them in a pan. 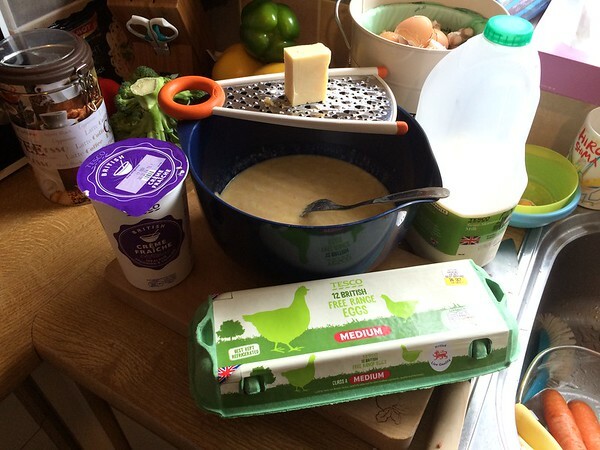 Mix the eggs, crème fraiche, and some (rather more than less) of the grated cheese in a big bowl. 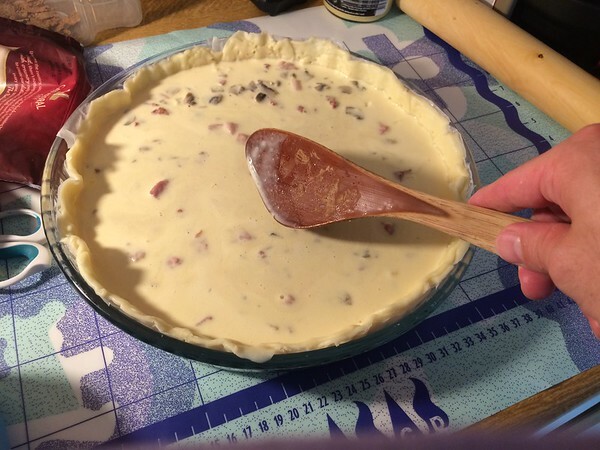 Once well mixed, pour onto the dough in the pie dish. 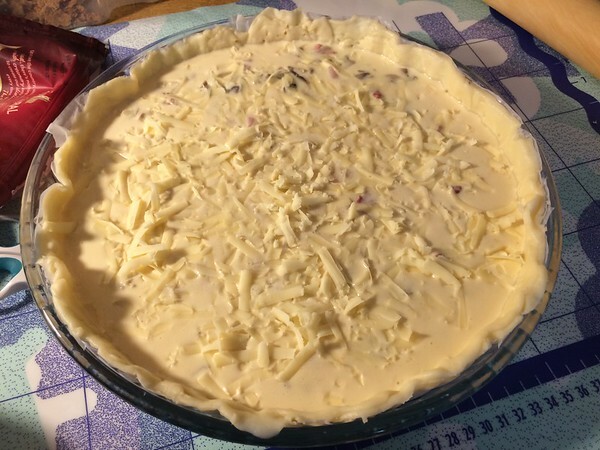 Add some more cheese. 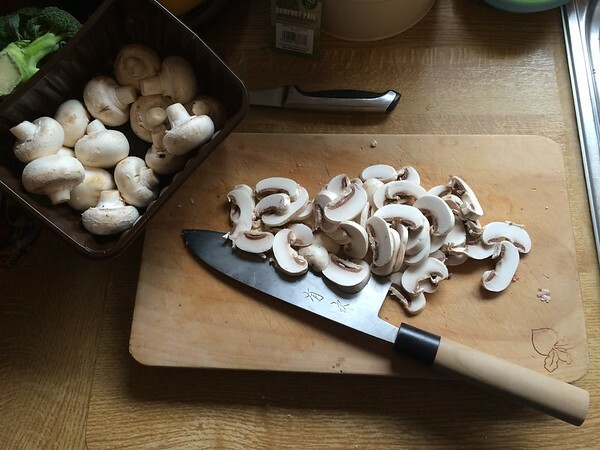 More is better! 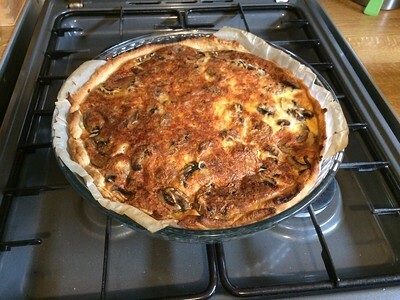 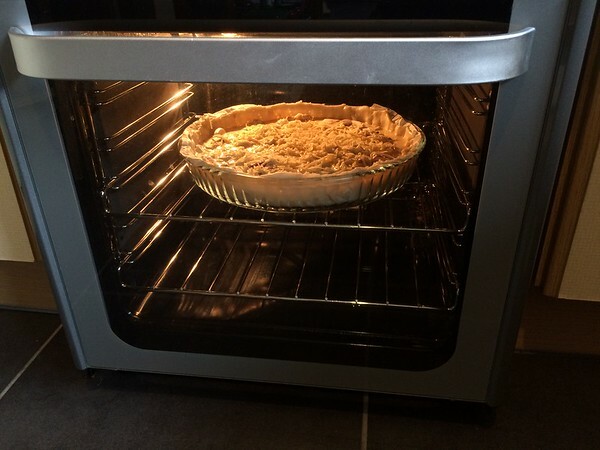 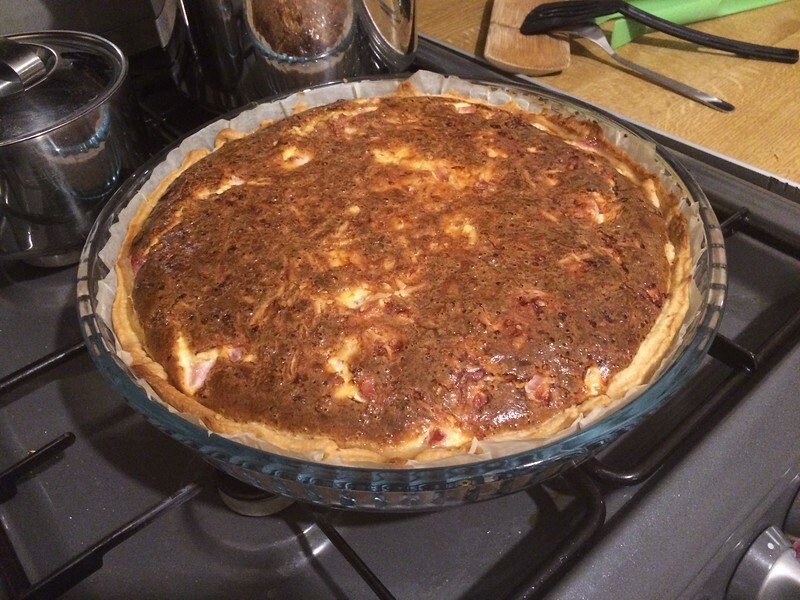 Cook the quiche at ~200ºC, or gas mark 7, for hmmm, well, until it looks good!